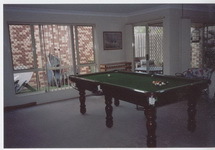 Well it's back down to Adelaide for a few days to help the family tidy up mum's place. 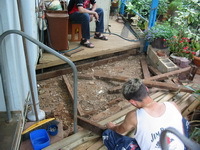 While we are there we re-model the back verandah and get rid of the steps so now there is just a smooth ramp. Back home again and it's off to the Indy as guests of SeaFM on their stand. The Chariot staff went to the previous days whilst Gai and I went on the Sunday.